New technologies continue to usher in new trends in data storage with solutions that are not only small in size but also store more data than previously imagined. There are different storage methods for computers and other forms of technology, and since most of them come with limited amounts of storage spaces, you will need to find a suitable external storage device to backup your extra files. This is also useful since you will be able to move around or travel with your files save and ready. You may think that cloud storage services like Dropbox one OneDrive are enough but what happens if your internet goes down? Buying an external storage device can be confusing since they use different technologies and come in all shapes and sizes. Sometimes, even their random GB or TB numbers are enough to frustrate you especially if you are not sure about the amount of space that you need. So, how do you go about getting the best deals? There are many reasons why you would want to buy an external storage device, and that determines, to a larger extent, the kind of storage device that you need. So, what stuff do you want to be put on it? The amount of space that you need for keeping your HD videos is not the same as the one for keeping your documents, music, software or simply videos. It is also possible that you need an external storage device for only transferring media from one device to another and not long-term storage. In this case, it will be a waste of money to buy a storage device with a 2TB storage space. Is the data that you want to store very sensitive? If this is the case, you will need to choose a storage device that is compatible with software encryption, has hardware encryption or one that comes with a pin-code input. External storage devices are also designed to be used in different environments, and you will require a versatile solution if there are higher chances of it getting dropped or spilled on. If you intend to be transferring files back and forth to your device on a regular basis, then you will not want to wait for ages to complete it. 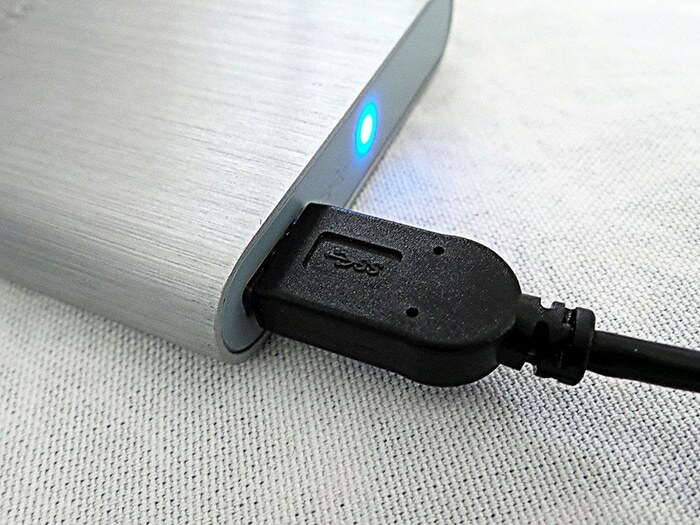 The transfer speed depends on the storage technology and the connector that the device uses. SSDs process data faster than HDDs although they are expensive and have less storage capacity. Connectors like USB interface 3.1 or Thunderbolt 3 are fast compared to others. SSDs tend to be lighter than HDDs, but your choice will depend on whether you consider portability or permanent backup options important. Buying external storage devices in bulk will give you a good price but that can only apply to SD cards, flash drives, and their accessories since you use them on a variety of portable electronic devices. This does not mean that you cannot find a speedy, high-quality hard drive at an affordable price. A hard drive like Toshiba Canvio Connect II which offers a 1TB space, 100 MB per second, good looks, compatibility with Windows and Mac and weight of only 0.36 pounds is sold at under $60. This just goes to show that you don’t need to break your bank to get a good external storage device out there. External storage devices still play a significant role in backing up your data and you will continue to witness them trending with larger storage capabilities packed into much smaller spaces. The increasing amounts of data and the need to protect and preserve them will continue to power the need for external storage devices.